“Today,” says Kathy Yaeji Lee when I speak with her by phone from New York on a Monday afternoon in early October, “is my first day as a full-time musician.” After spending the last few years working as an artist assistant and graphic designer by day while familiarising herself with New York’s underground techno and house scene by night, it’s Yaeji’s time. EP2 is the 24-year-old DJ-producer-singer-rapper-visual artist’s second EP release in under 12 months. Building on the distinctive sound that listeners around the world have been fast falling in love with, it elevates her blurred-out grayscale textures, obsessively detailed rhythms, hushed vocals (rapped and sung), and fluid English/Korean bilingualism to new heights. Equal parts richly rewarding and exploratory, it’s an aesthetic presently best heard on “Drink That I’m Sipping On”, her first song to clock over two million views on YouTube. 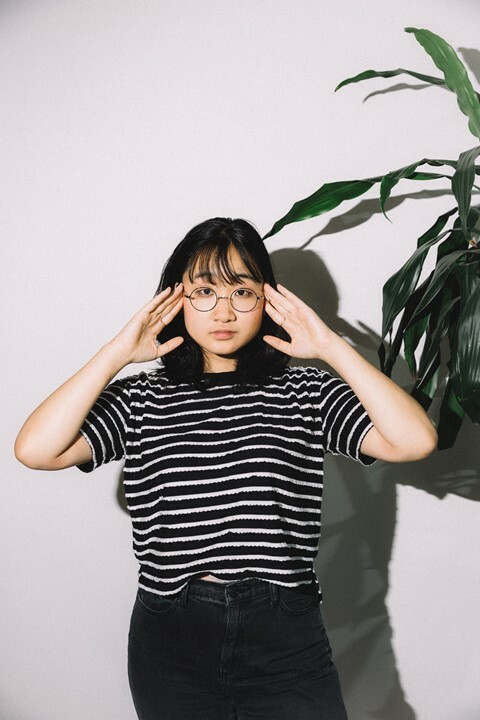 Although she’s been producing music for close to four years, Yaeji started DJing two years prior while she was attending university. DJing – in particular, the storytelling aspect of constructing a set – is the foundation of how she creates music. “It helped me understand simple things like song structure, and gave me a sense of how many bars I needed in an intro or outro,” she says. Citing LA-based DJ SoSuperSam and quick hip hop mixes as an early inspiration, lately, she’s been paying close attention to Berlin-based DJ’s Paula Temple and Objekt’s open-eared and intricate approaches to the craft, and putting the theory into practice at parties across New York and Los Angeles. To celebrate the release of EP2 through Godmode Music, Yaeji put together our latest Dazed Mix, an eclectic-yet-cohesive blend of cuts from the likes of MHYSA, Loefah, µ-Ziq, Shawty Pimp, and Yaeji herself. You have a background in visual arts. Do you think the lessons you learned in those worlds have helped you with your music? Yaeji: It’s hard to put my hands on exactly how my art influences my music and vice versa, but there is something really powerful there. They are pretty intertwined, but in ways that are abstract to me. I think my music career just took off somehow, maybe by chance. After Nick (Sylvester, from Godmode Music) found me, there was a metaphor he would use when we talked about how visual art had been a prominent part of my life until that point – but at the end of the day, I’m a creative and I love working in different fields and different ways. I knock on different doors, and the door to music has opened up to me right now, so I’m taking that, but it doesn’t mean that I’m not going to try and open other doors. I think they are all connected. My music is not only about my music. This is a good segue, what do you consider your music to deal with beyond music itself? Yaeji: I try to tap into experiences that are hard to grasp or talk about. It’s all very abstract, but for me, it’s about fleeting memories and experiences. I think everyone experiences these in one way or another. Maybe it’s just that language is too limiting. It’s hard to talk about it, but I think music can transcend language, in a way that is very expressive and can be understood. That’s a part of it for me, but I bet there is a word for it. This is the benefit of speaking two languages; I feel like it gives me a broader palette to work with in explaining or understanding these things. I can get closer to that place in a way. You have this music and food thing you organise in New York called ‘Curry In No Hurry’, where you partner with a local Korean restaurant to serve curry at your shows. What’s the story here? Yaeji: (laughs) I love how you get into subjects, it’s really funny. Like, ‘Oh, you have the food thing,’ which is so true, that’s actually exactly how I see it. It’s not a project I’m operating, it’s just a food thing that has taken on a life of its own, which is really cool. I started it off thinking that I didn’t get to learn about these cool people I meet in the club, because the music’s too loud. I wanted to invite them over and cook food. Food is a nice activity, and I wanted to have them bring over music and talk with me for hours. I did that for a year, and it became something bigger. You’ve just about to drop your second EP, fittingly titled EP2. What can you tell us about it? Yaeji: It represents a lot of growth for me. I think part of the growing pains relates to creating it over a relatively short period. I was pushed outside of my comfort zone the whole time. At the same time, I had so much going on in my life. I was still working full-time, but a lot of music work was coming in as well. It was hectic, and I think I’ll be able to say more about the EP later. I do know that something really exciting for me is that I tried so many different things while making it. You might even hear it yourself. All the tracks are really different, especially from my first EP, which is exciting for me. It honestly made me want to try crazier things for my next release, and really see how far I can go with different things and different sounds, while still working to a story and a brief. Does it feel like you grew twice your height this year? Yaeji: In some ways, yes. I’ve constantly felt like I’m growing, and catching up with the growth to actualise it, you know? Everything is happening very quickly for me. So maybe I am twice my old height. There have been a lot of growing pains for sure. Could you tell us a bit about what is going on in your Dazed Mix? Yaeji: I wanted to make something really intense and dancey that ended in a chill way. That’s the progression, and (like any story) it can be translated in any way. It feels like an example of having a rough week. You start off thinking it will be pretty good, then all these crazy things happen, and at the end of it, it’s the weekend. It starts off with this really pleasant song by (Norwegian jazz singer) Karin Krong. I grew up listening to songs like this in middle school. For a period, there was this Korean DIY scene that revolved around stationery products and decorating diaries. The music associated with it was stuff like this, bossa nova, and jazz-influenced electronic music. I was pretty obsessed with that stuff growing up.